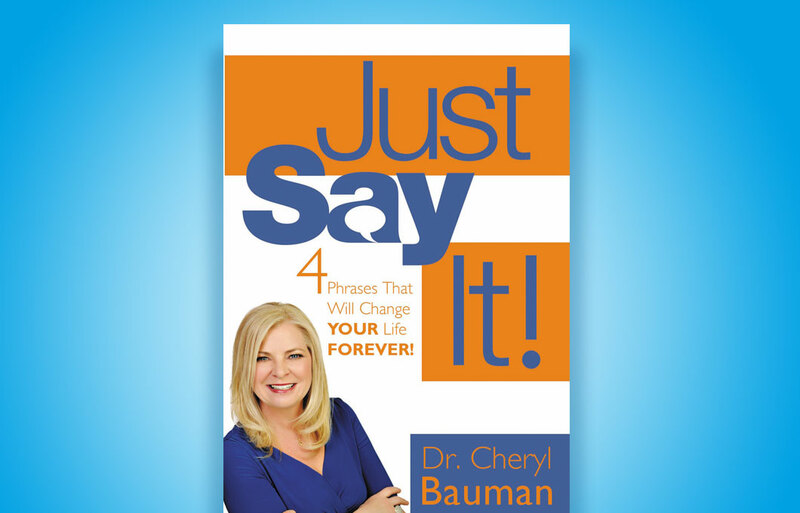 The following is excerpted from chapter four of Dr. Cheryl’s book, Just Say It! : Four Phrases That Will Change Your Life Forever! THE THREE WORDS “You are important” speak to the fact that your life is meant to be and that you have a purpose. Many people are not living up to their full potential because they did not hear these three words enough. Or maybe they did hear these three words spoken over their lives, but they do not believe them. Carol Dweck (2006), a psychology professor from Stanford University, states that what people believe, they will achieve. She claims that people’s beliefs about themselves and the nature of their abilities determines how they interpret their experiences and can set the boundaries on what they accomplish. Dweck (2006) applies her research to most human capabilities, and she yields the belief that mastery is a mindset (Dweck, 2006). Each one of us has the potential to not only change the course of our beliefs about ourselves, we also have the potential to change the course of the belief systems of the lives around us. The lives that you can directly change due to the spoken word may involve your spouse, your children, your parents, your grandparents, your relatives, your neighbors, your coworkers, your friends, and members of your church or association. First, you need to believe and declare that you exist for a reason, that your life is important, and that it has a purpose. You need to Just Say It to yourself and to others over and over again, “You are important,” believing that you and others can accomplish what you were placed on earth to accomplish. Once you believe this and declare this about yourself, you can have such an impact on the people around you! The impact can be with the people who occupy both your inner and outer circles. Just saying “You are important” could change lives forever. The spoken word carries with it so much power and authority. Just Say It: “You are important”—and it will help people to believe in themselves and in their potential and purpose. What person in your life needs to believe that they have great potential and a purpose to fulfill here on earth? Could you make a commitment to learn how to use the power of words to speak blessings over his or her life? I challenge you to do to this everyday with the person you have chosen to bless through the use of the spoken word. When you understand the power of the spoken word and realize that you can choose what you think and say, you can transform your life and the lives around you forever. You need to believe and Just Say It! You have the potential to touch lives in an uplifting and positive manner! By speaking these profound and powerful words over Sara’s life, I am teaching her that I believe she is important. I am helping to hardwire her brain so that the effect of speaking positive words to Sara translates into her learning and believing to speak these encouraging words over her life and over others around her as well! As Sara’s parent, I am modeling using the spoken language to uplift and encourage. I could have let this cherished moment pass us by without speaking these profound words over her life, words that are intended to build her up. This particular incident made me reflect upon the many times I have had similar moments such as this restaurant experience, but I have not taken the time to say, “You are important.” These three simple words spoke life, truth, and confidence into my daughter. It caused me to reflect on the power of words and how I can either speak negatively over people’s lives or positively over people’s lives. The very next phrase that Sara had me guessing in our word game was, “Mom is awesome.” The positive words that I spoke over Sara led her to speak positive words over me! These are the effects of the hardwiring that is occurring in her brain through the use of the powerful spoken word over her life.